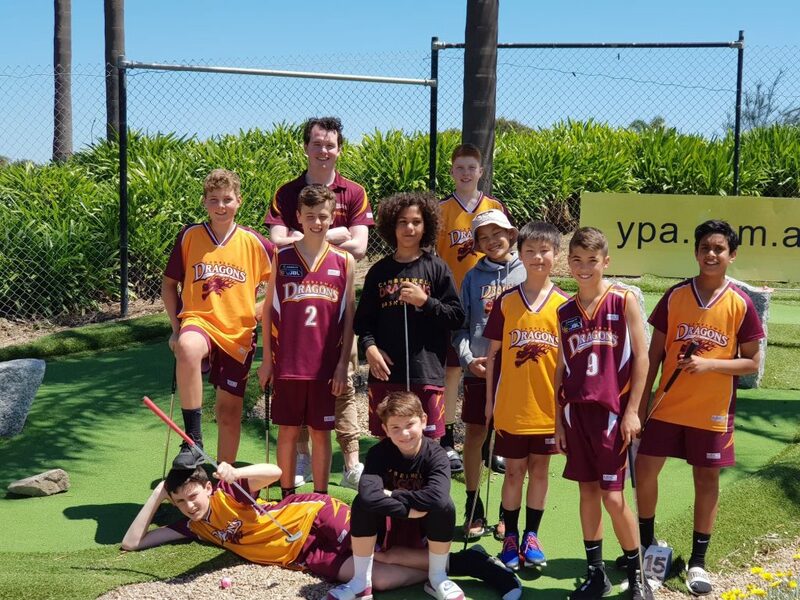 I would like to congratulate all my players for a tremendous effort over the weekend and despite drawing in a tough pool and starting with a big loss against Philip Island 1, all the boys dug really deep in the last game to get a final win over Waverley 3. 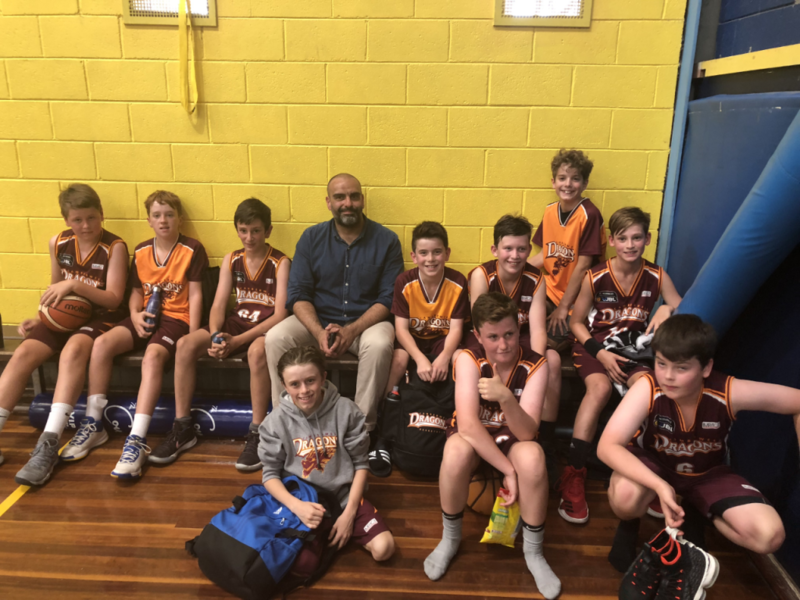 The other two games to Bulleen and Frankston were close however came up short but the non-stop team spirit displayed by the boys was fantastic. I am extremely happy with how the team performed, and the tournament proved to be a great bonding experience, particularly the last game which highlighted just how much they developed as a team during the few intense games. I am really looking forward to the new season that awaits the 14.2 boys team. 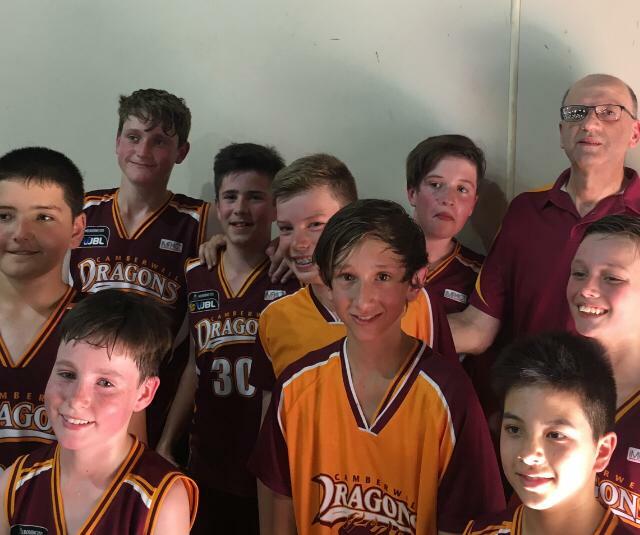 The Camberwell Dragons Boys 14.5 had a great come back win over Collingwood last Friday and went in to the tournament with some confidence. 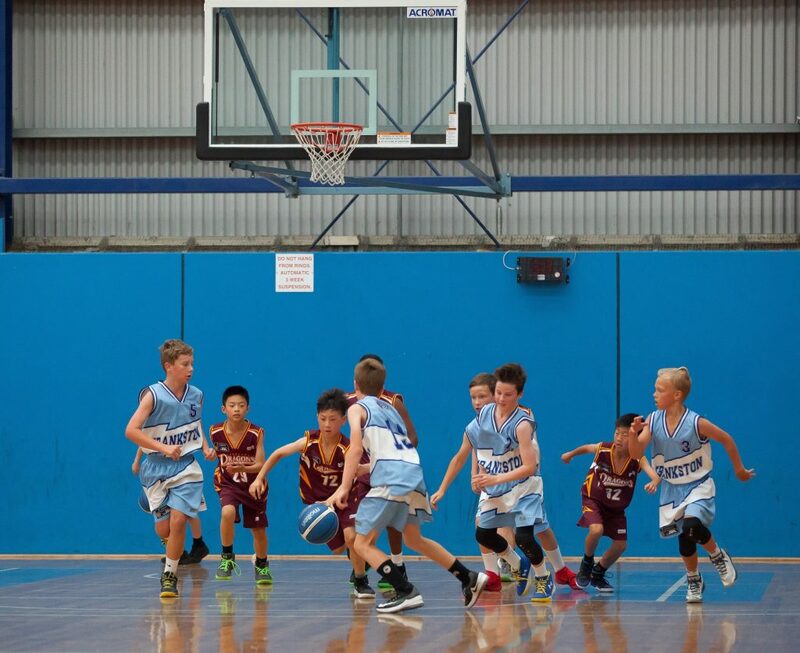 The boys had their first game at 8am against Blackburn 4 on Saturday morning an Langwarrin. The boys started well and put in to practice the set plays and ball handling techniques they had been learning. Inevitably, Blackburn 4’s were a well organised team and their offensive set plays and defensive pressure started catching up with us and they broke away and took a commanding lead. There were definite moments of team and individual brilliance. The boys have demonstrated a great sense of selflessness in moving the ball around to look for the best and the boys have been prepared to step up individually to make great shots and take the game up to the opposition. Our guards are moving the ball well and breaking through traps and full court pressure. And we have strong and sizeable tall timber in the key that’s provided solid rebounding and blocked shots and much improved focus on blocking out. Our next three games against Corio Bay 2, Ringwood 3 and Nunawading 4 followed a similar pattern. The boys maintained their intensity and drive but were up against teams with well cohesed offence and defensive plays and this wore our boys down and made for a few tough games. As a team we acknowledged the importance of the weekend to help us understand where we are at and the building blocks to put in place. The boys have the belief that they have the individual skills and attitude to have a great run this year but will take the time to develop and grow their skills at the rep ball level. The boys spent a great Sunday morning at Carrum beach where the waters were crystal clear and harassed boat drivers coming off the ramp making for a great opportunity to spend quality time together. Thanks to all the parents and other Dragons teams for their support. And most importantly to our 14.5 Boys for showing a lot of heart and good will all through the weekend. Greatness in the making. (Chris Kagiaros – coach). 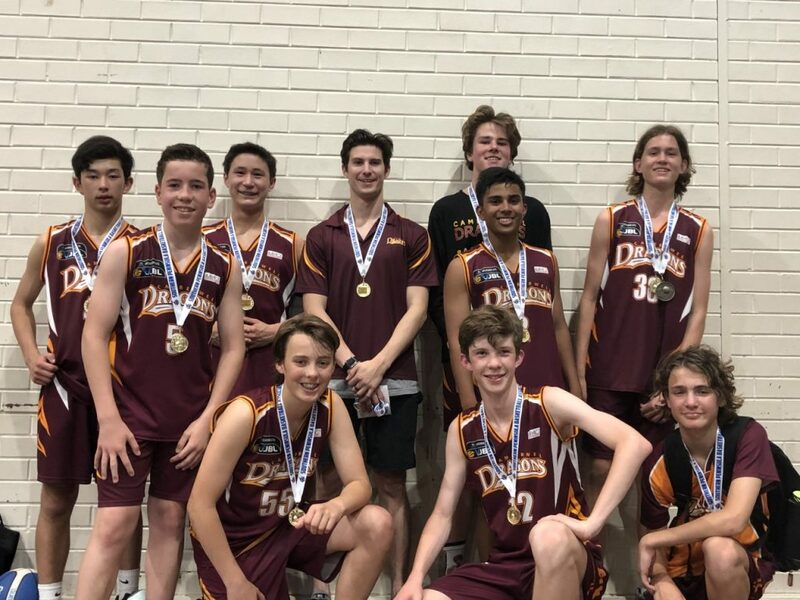 The U16-1 Boys played in the Championship Division for this tournament with the idea of testing themselves against the very best to see how we look heading into the first Grading Phase. The tournament started off a bit shaky but as the boys built trust in each other and our teams system we gradually got better and better as the tournament went on. We finished the tournament on a high, with every player (including injured Will) contributing well to a 10 point win against the 10th ranked hosts Southern Peninsula Sharks. Overall, Pete and I were very impressed with the boy’s development over the weekend and are extremely excited heading into the important grading games. Thanks to Geoff for being Team Manager, and thanks to all of the parents for getting along to the games across the weekend, it was good getting to know everyone better. (Mark Jeffers – coach). 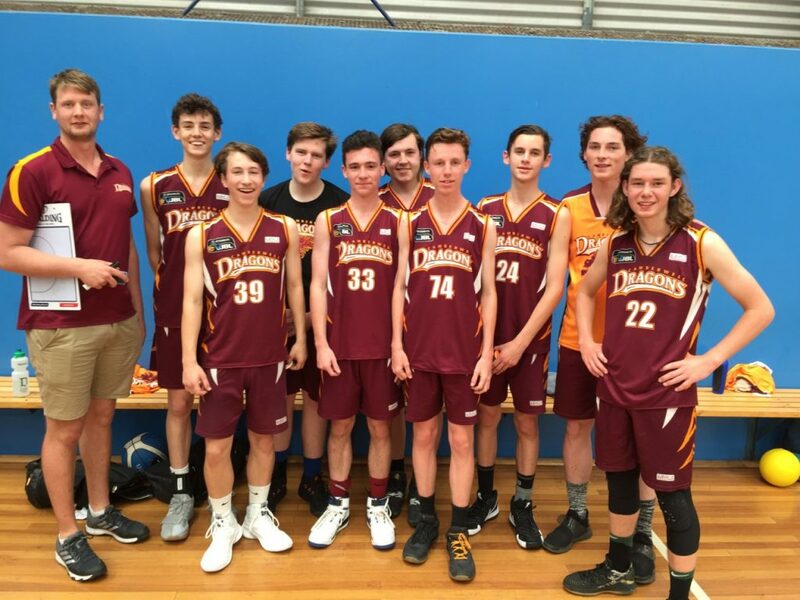 The 16-2 boys had a great Southern Peninsula tournament after a tough pre grading game on the Friday night that didn’t go their way. The first game on the Saturday saw them facing Ivanhoe 1. While looking the better team in the first half the scores were close at half time, but after the break the Dragons turned the screws defensively to win 50-21. The Dragons confidence grew through the half after Quentin Parry scored 6 points in 30 seconds with steals in the back court. Chelsea 1 were looking strong in the second game, but the Dragons were able to prevail in a fast paced game. While the Dragons won 49-37, the game was very tight and Chelsea were in the game right to the end. Tom Power, Charlie Quartel and Henry Law had their hands full with Chelsea’s strong line up but were able to keep them under control, while sadly Josh Dooley’s tournament came to an end after a heavy collision with an opposition player. Guards Sid Gangodagama and Matthew Mayes were busy applying pressure and getting out on fast breaks. 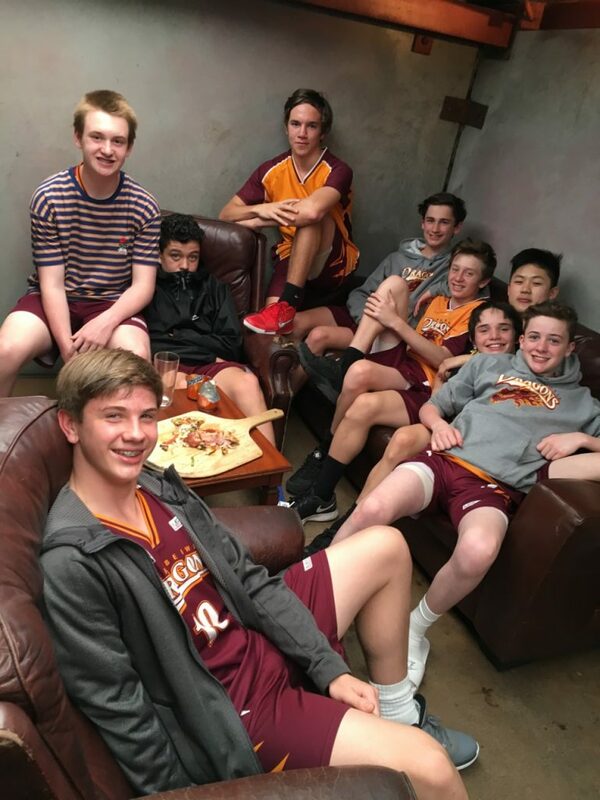 After a much anticipated team dinner at the Riviera Hotel we tackled Western Port 1 who had an intimidatingly tall centre and a 57 point win earlier in the day – it was looking like it was going to be a tough game. Fin Hansen played with increasing confidence slashing his way to the rim past the tall timber and pushing the ball on the fast break, while the rest of the boys kept up great intensity attacking the basket at every opportunity. A 48-35 win was a great way to finish the Saturday and made the late drive home up Warrigal Rd a bit easier. After the bye on Sunday morning there was 1 more game to finish the pool games. A win against Mornington 2 would get us into the final. As with all of the other games, all players made a great contribution, however Alex Noblet was a standout controlling the pace of the game while Matthew and Quentin started to find their range from outside. Getting up 46-35 was nice, and planning commenced for the Grand Final against Southern Peninsula 2. Coach Luke Bett also showed his athleticism leaping skywards to remove the ball when it jammed in the ring. The Grand Final was a cracker. The Dragons were down by 6 points in the first half and it was looking grim. Southern Pen were looking very polished and the Dragons were having trouble finishing off their good work, however a few late baskets saw scores tied 20-20 at half time. Southern Pen’s talls were causing problems in defence and they scored well in transition. Great defence early in the second half saw the Dragons take control of the game and suddenly the shots started to drop, securing a 43-36 win. Charlie Quartel was named MVP of the grand final, but there was a very even contribution from all players in the game. The 16.4 boys played four competitive games across the weekend and came up short in all four games by single digits. There were flashes of brilliance and plenty of promise but we were just unable to hold off all four teams. Big shout out to all the parents for driving the kids around and scoring throughout the weekend! 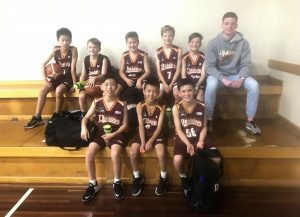 Not to be surprised, the boys were slow to fire in the first game against Chelsea 06, eventually pulling away in the second half with a health win of 39 to 20. Passing the ball well, turning offensive rebounds into baskets and forcing a couple of turn overs playing a press contributed to the good result. The second game saw us down to 7 players (down side of a squad of 8, upside is heaps of court time). We played against favourites Sandringham 05, which had several upper age players taller than our tall. 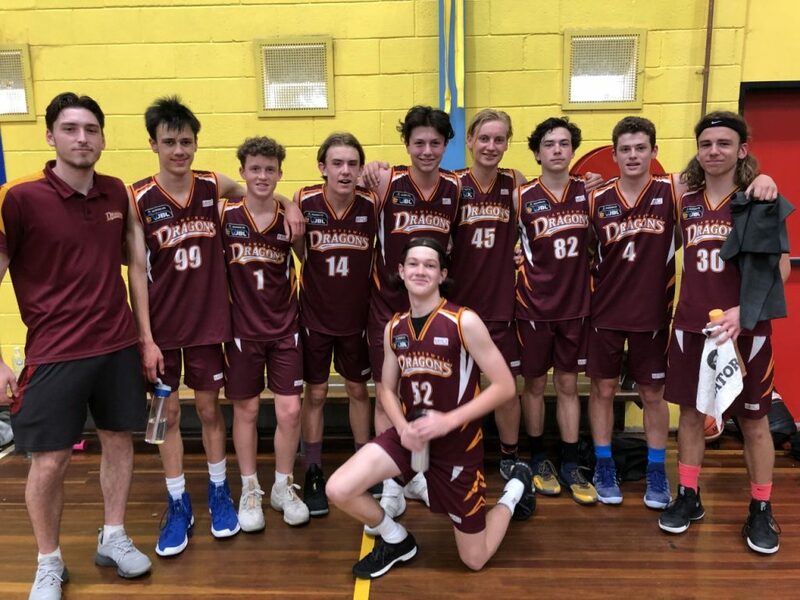 Outsized, the first half didn’t go our way, but the boys regroup in the second, outscoring Sandringham in the second half and ending with a score of 34 to 57. In the break, the beach was calling, so after a quick game of beach cricket it was off for pizza to refuel the boys and for the parents to take a break. In our third game, we played Western Port 05. We struggled to settle into our game, with high number of turn overs from both teams. When the boys moved the ball well to the open player, baskets were had, combined with a few quick transition baskets , saw us winning 46 to 24. The last game saw us back to full strength of 8, some suffering from a lack of sleep. 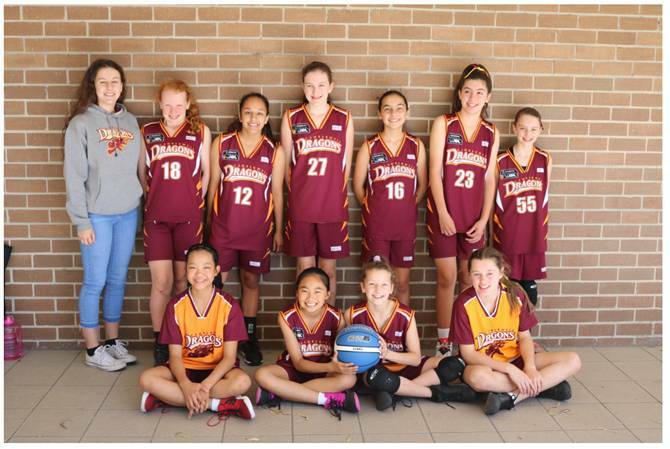 We played Strathfieldsaye 01, the eventual pool 2 winning team, with a focus defence we stayed in the game until the second half with a gap of 7 going into the second half, eventually loosing 16 to 32. 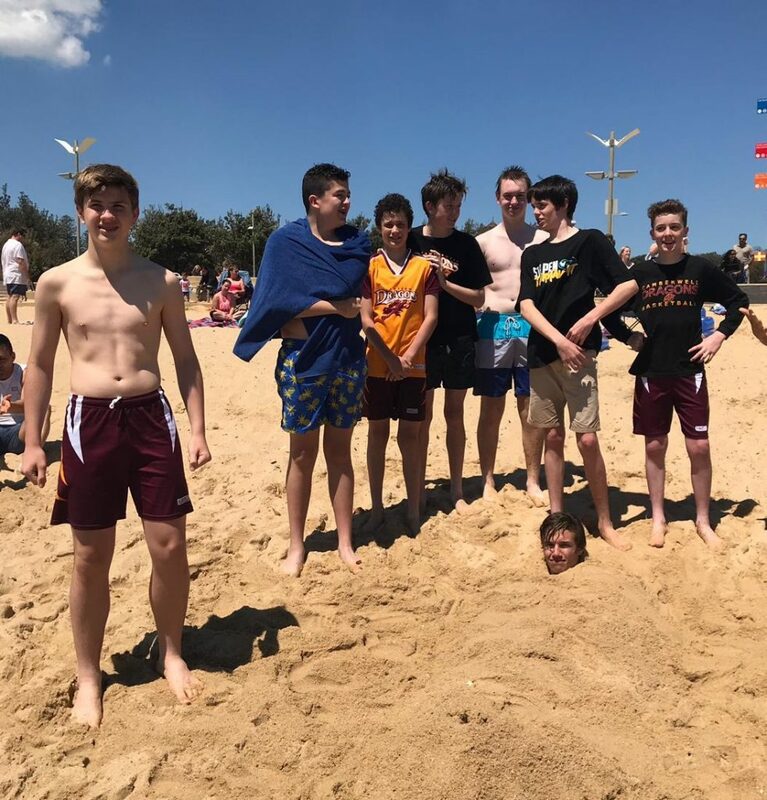 The boys had some quality time building friendships over pizza, sand and ice creams. Very proud of the team which improved every game and never gave up, so we expecting a ripper of a season. (Tom O’Brien – coach). 18.1 boys were in the Championship Division for the tournament and came away with two excellent wins and two narrow losses against teams ranked up to 20 places above us. 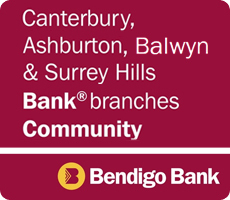 A narrow loss to Warrnambool (55-56) with only 6 players (Will Day’s defence was the highlight) was followed up with a comfortable win over Mornington 1(55-35). Our height advantage was on show against Mornington with over 50 points shared amongst the guys filling our 4 and 5 spots. Our Saturday evening game was against Diamond Valley 1: coordinated team defence and an attacking offence kept us in the lead for all but the last 2 minutes. John Kontekakis and Elliot Nicoll took advantage of the smallest lapse from our opponents defence. Unfortunately we were overrun and lost 56-59. Out final game was against the fourth-ranked team Casey1. 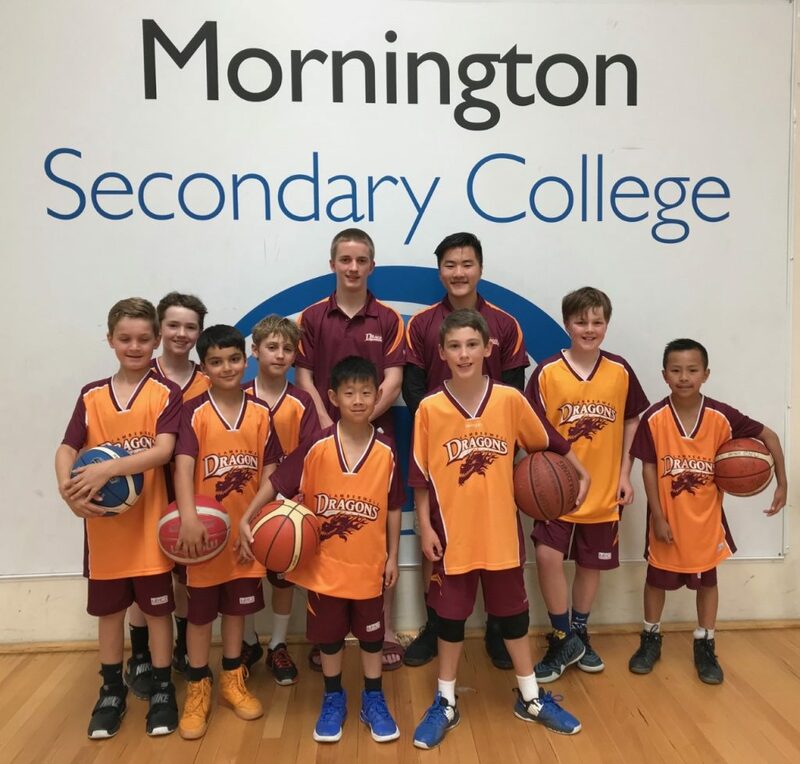 Just ahead at half-time, the boys given the challenge of maintaining intensity through the third quarter; Rye Spark came out strong with two quick baskets and penetrated their offence to his team-mates advantage. Dave Waldron then took up the challenge at both ends – he turned a couple of defensive rebounds in contested layups at the other end. Sam Rendell’s defensive efforts shut down Casey’s key player and contributed enormously to a very satisfying win. To finish equal second place (3rd on perecentage) was a great outcome and augurs very well for the grading phases to come. Whilst I have called out a few players in the above report, the wins (and near misses) were down to everyone contributing at both ends of the floor. (Andrew Power – coach). The U18/2’s had a productive weekend winning 2 of 4 games with the 2 losses being a few points and having chances to win both of those games. The to wins where by over 15 points one that came against Ringwood 1 who start 2 pools higher. Hopefully we can take the form and banter to the Christmas break and start well. (Matt Foster – coach). The 18 3 boys had quite an up and down tournament over the weekend splitting the weekend 2-2, despite battling injury’s to nearly half the team and playing a little bit out of form it didn’t stop us from making every game as competitive as we could, with a 4 point loss to Ringwood and a 5 point loss to Craigieburn we were determined to get back to playing our high quality form of basketball that we were use to, we followed up strong against Coburg and Frankston going undefeated on the Sunday to finish off the tournament strong, despite it all the team chemistry is starting off strong and we look to build on that going into grading. (Jarrod Whelan – coach). The under 18/4s had a good tournament. We won our first three games despite injuries causing us to only have 6 players. Unfortunately we lost our last game that would have put us into finals. It was a very hard fought game though, had two lead changes in the last minute and a missed go ahead layup on the buzzer. (Mark Fernandez – coach). Firstly, a big thank you to the parent group and the coaches for their dedication, support and positive encouragement over the weekend. Oh, what a weekend it was, lots of mixed emotions, ranging from enthusiasm, exhilaration and exhaustion. 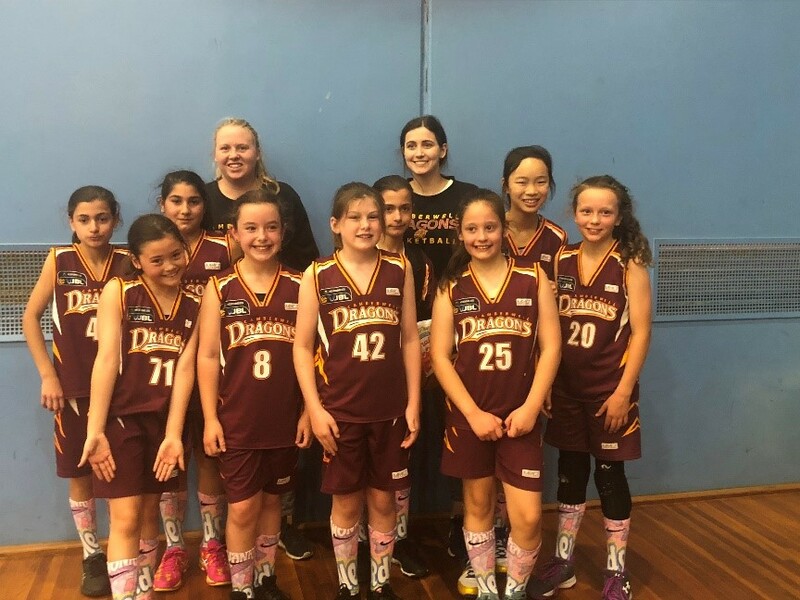 All the excitement about the weekend started on Thursday night at the end of training, when the girls were presented with a colourful pair of basketball socks to wear for all their games (see Pic 1, they are all looking very stylish). It’s fair to say not having an early start on the Saturday or the Sunday gave both the girls and the parents something to be pleased about right off the starting block. Our first match was 11.30 Saturday morning – very civilised. The girls started on fire, fast out of the blocks taking a quick 6-0 lead. The coaching team was full of support, encouragement and expert advice and we were even lucky to have some extra Dragons coaches on the side line cheering and supporting the girls on. The game was tight all the way through and we were just behind at the end of each quarter and unfortunately, racking up the fouls. In the last quarter we fell behind with some easy shots to Southern Peninsula 1, 2 of our fighting girls fouled out of the game, but with 2 minutes to go, in a burst of action we turned a 4-point deficit into a 4-point lead to win our first game. Such excitement from the stands and the girls, certainly a nice way to start our weekend. With a couple of hours to kill we headed off for a lovely lunch together, a bit of fun on the beach and finally a risky play in the park – involving scaling and swinging from large trees and then a bit of mild hide and seek. 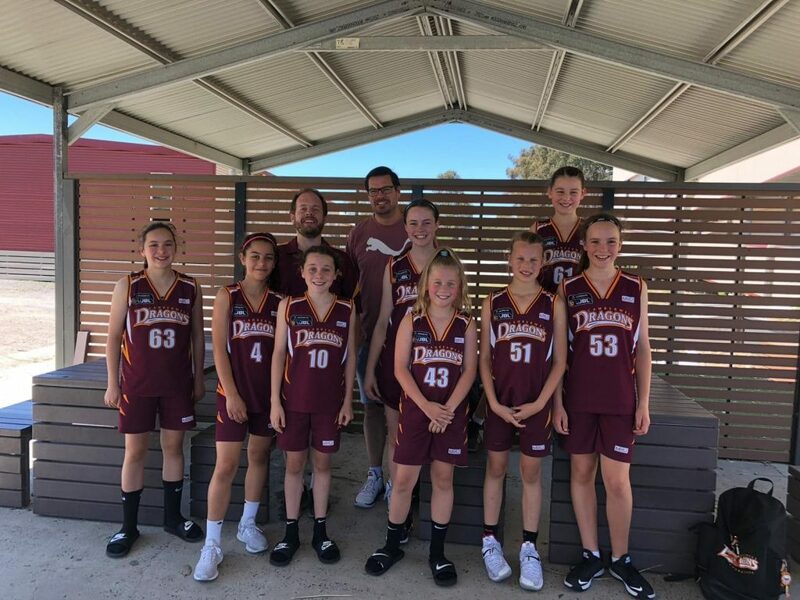 Our second game saw us up against Casey 1, certainly carrying a bit more height than us, their game style and the height difference took the girls a little by surprised and it took us some time to settle into a fast paced, physical game. So, in the end game 2 was a bit of a brutal loss 14 to 49, but it’s fair to say lots of learnings and no doubt we are all the better for it. Game three was a struggle of a different kind, another fast-paced game, where we maintained a 3-point deficit for the first half despite losing two players to injury early in the 2nd quarter. Q3, became a battle against fatigue, three competitive matches in 8 hours where our valiant girls did their best to fight for every ball, just proved too much and we couldn’t overcome the final winning margin of 13 points. 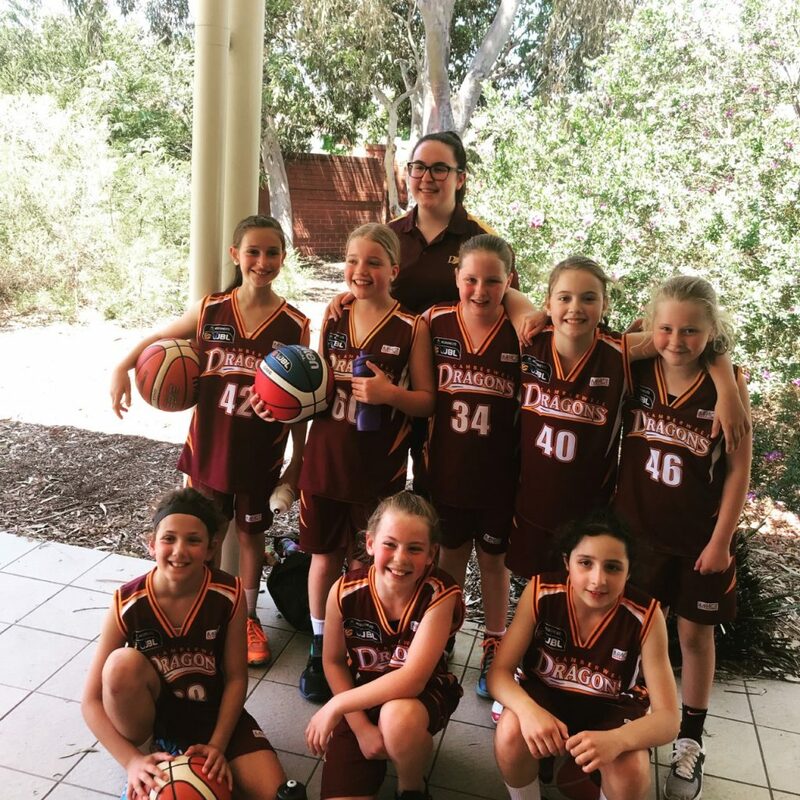 It was a tired group; girls, parents, and coaches who happily went home for a big rest, so we could bring our best to the one Sunday match up against Melbourne Tigers 1. We had a late start on Sunday, giving us our best chance to recoup from the heavy-duty day before. Everyone showed up with excitement to take on our last match, the girls were ready to give it their best and fearlessly take on the ladder leaders. Our girls certainly went out onto the court with a fighting spirit and produced some great defence against a tall and talented team. We made them work hard for the ball and their goals, with the final score line of 18 to 45, we will be ready to take them on with lots of learnings and new strategies next time. As a parent group we couldn’t be prouder of our girls and we are ever so lucky to have such a strong and caring coaching team to guide and develop them. I also need to make special mention of a key team member who was forced to sit on the bench nursing an injury all weekend and courageously support her team from the sidelines. It wasn’t the same without you on the court Lexi and we can’t wait until your back is mended and it’s safe for you to play your inspiring style of basketball again. 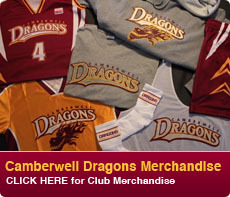 Go Dragons, bring on the season, we are ready! (Tarnya McKenzie – TM). It was a terrific tournament for the girls as they came up against some tough opposition but tried their hearts out and started to play beautifully as a team! We had a long day on Saturday with an 8am game and 8pm game so plenty of time in between to spend valuable time together at the beach (and shopping!!). Our first 2 games were against Waverley 1 and Nunawading 2 which are both ranked much higher than us, which showed in their tight defense and better finishing. 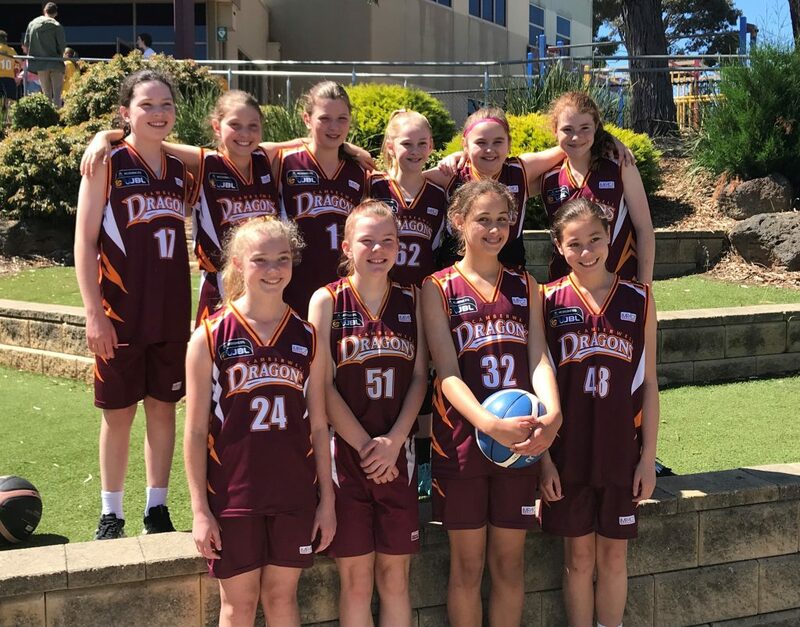 Despite the result on the scoreboard, the games were very competitive and I was very happy with the way the girls played together and kept persisting to the end. The next 2 games were against Diamond Valley 2 and Kilsyth 3 and were much more at our level. After a slow start, the girls narrowly went down to Diamond Valley after we lifted our intensity in the second half and shocked them with our pressure and speed in transition. This intensity carried through to our last game with the girls fighting off a last minute challenge by Kilsyth to take away the win and finish the tournament with big smiles! 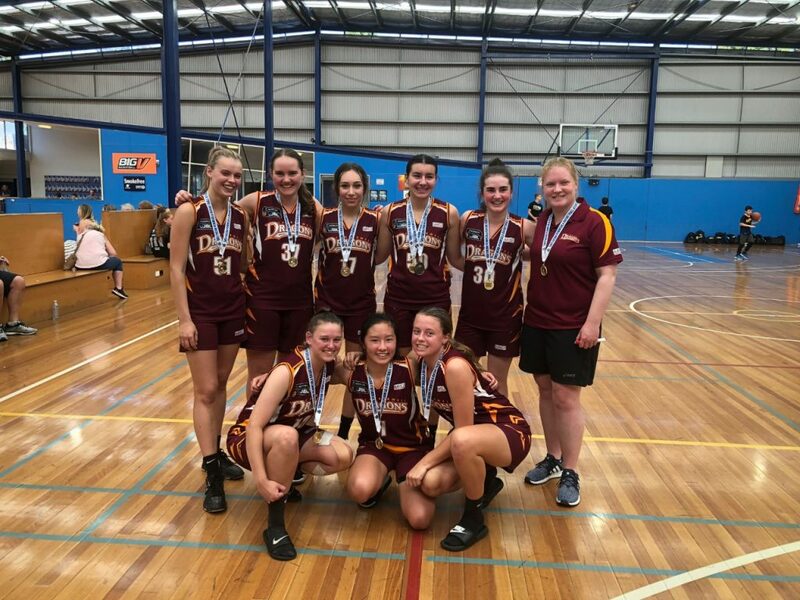 We had the zippy speed of Miranda, Ava and Hailey to get the ball down the court and for those sneaky drives to the basket, Maddie and Tayla controlling the ball midcourt and putting some strong moves in offence, Cleo and Cindy as our aggressive forwards and shutting down their offence, and Annabel and Juliet smashing the boards and getting those all important rebounds – terrific all round effort! To all of the girls, I was very proud of the way you conducted yourselves throughout the tournament and look forward to a terrific season ahead!! A big thank you to our terrific TMs Nopi & Denis, and all the parents for organising the girls and keeping them entertained, it is very much appreciated. (Paul Martin – coach). Overall it was a very positive tournament for the 14/1 girls with great contributions by each player over the course of the weekend. We finished with a 3-1 record but missed going through to the final on percentage. Every time we stepped on the court we showed signs of improvement and the girls began to gel together nicely on and off the court. Highlight for the weekend was Nelly’s game winning 3 with seconds to spare to give us a 2 point win over Waverley. We now look forward to hitting the court together for the challenges ahead. Thanks to Louise for her efforts, and all the parents who seemed to enjoy the weekend as much as the girls. (Glenn Siegle – coach). The 14-2 had a comfortable practice period with several easy wins and a big pre-grading victory. The Southern Peninsula Tournament gave us exactly what we required with several tough games. We played two teams in the pool above us, and whilst we lost both games to bigger and more structurally advanced sides in Kilsyth 3 and Sandringham 2, both games were close and we were able to work on our offensive spacing and defensive positioning. Our other two games were against teams in our pool and we won both by about 15 points. The difference in the team from the first to last games of the tournament was evident, with improved offensive and defensive transition and greater focus on boxing out and offensive spacing. The team found time for some fun at the beach where Heidi and Leni quickly found that Ani’s longer legs are definitely an advantage when trying to wade to a sand bank in Dragons uniform and Sarah discovered cartwheels are fantastic for shooting when you hurt your wrist….. Thanks to Kate, Lee and all the parents for their assistance over the weekend. (Duncan Palmer – coach). 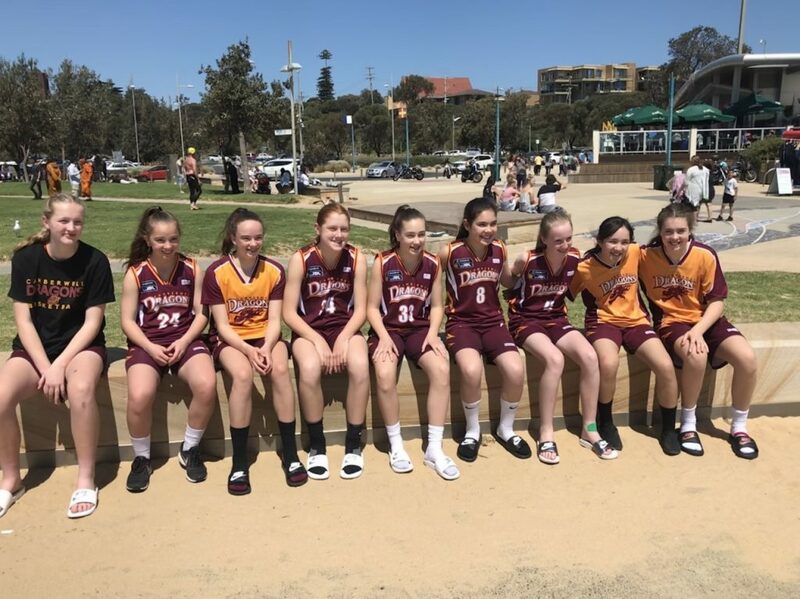 The 14-4 Girls had an enjoyable Southern Peninsula Tournament where we played against some strong opposition, got to spend time with our team mates and parents coming together as a group for the first time. Throughout our four games we continued learning to play as a team and what to do in different situations during games. We got off to a sluggish start Saturday morning against Waverley 3. A few adjustments to how we were playing at half time (not passing to the opposition) and a much more competitive effort in the second half saw us losing 25-41. Our second game on Saturday was once again a tale of two halves. Down 8-24 at half time and with some inspirational words from Leone, the girls rallied to outscore Melbourne 25-24 in the second half. 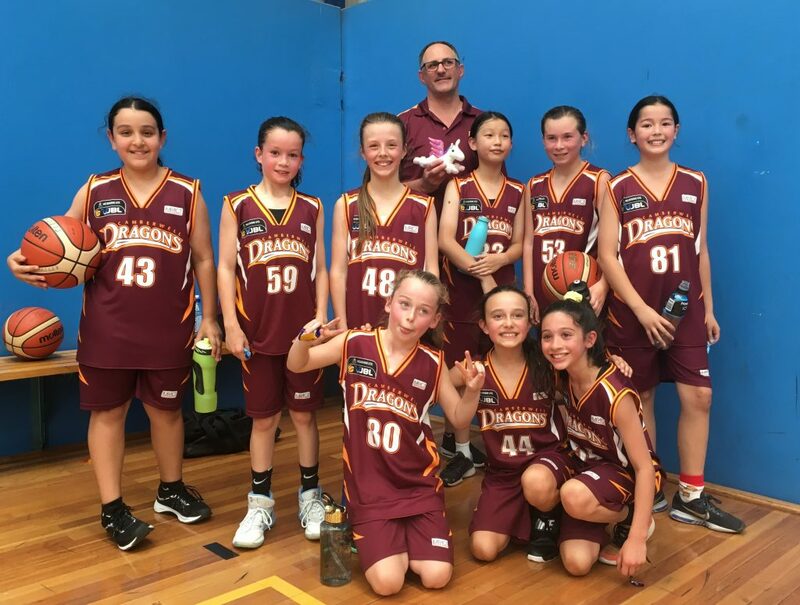 Unfortunately we struggled to stop the shooting power of the 6ft tall 11 year old girl in the Melbourne team who scored 21 points for the game, and we went down 33-48. 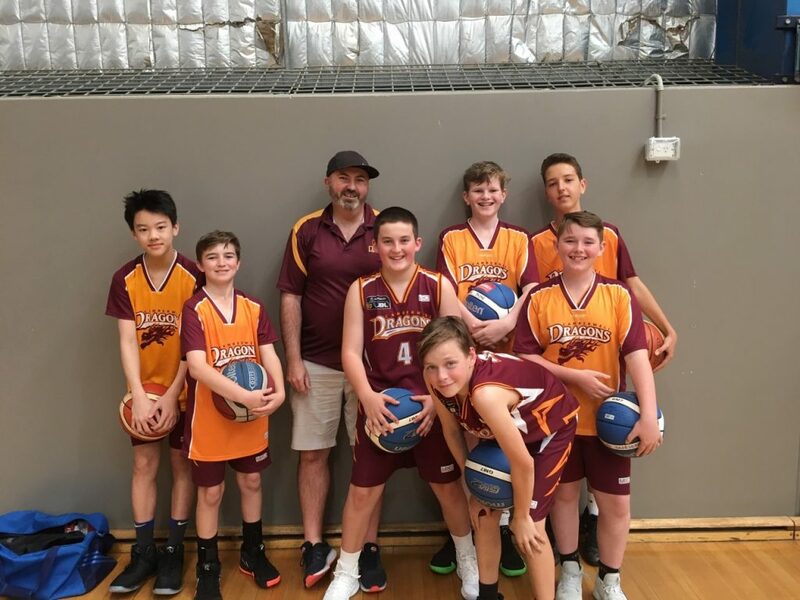 An 8am start Sunday morning and some great defensive pressure against McKinnon 3 left them with only 20 points half way into the second half. Unfortunately the shooting radar for all the girls was off and very few of our own baskets dropped. The game was a lot more competitive than the scoreline showed with the girls going down 4-36. A pre-game photo shoot in the playground at Peninsula School and the girls were up and about. Our chat prior to the game was all about applying defensive pressure, getting stops, turnovers and opportunities to score will come! WOW did every girl respond, the girls were fired up on court and on the bench each time we got the ball off the opposition. Awesome passing and running saw many baskets scored and the opposition was struggling to contain our offense. A great finish to the tournament and a convincing win 44-4 against Chelsea 2. The girls started well in Division 4 and with much enthusiasm and anticipation. Their task to focus on clean passes, create space and take risks to shoot. 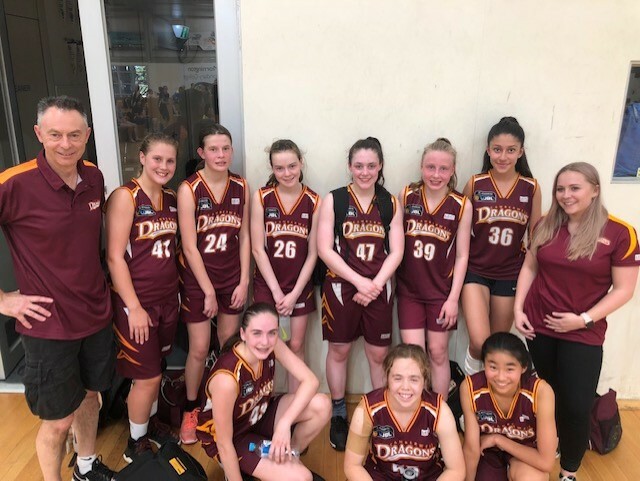 They first faced Coburg 2 who were solid and taller but not as skilled as our girls nor as fast with our gutsy determination to force turnovers. It was a very competitive game and the girls kept Coburg on the edge of a loss for most of the game. The end result was predictive for the other teams the girls played, where height on the second rebound secured the loss. 37 to 29. 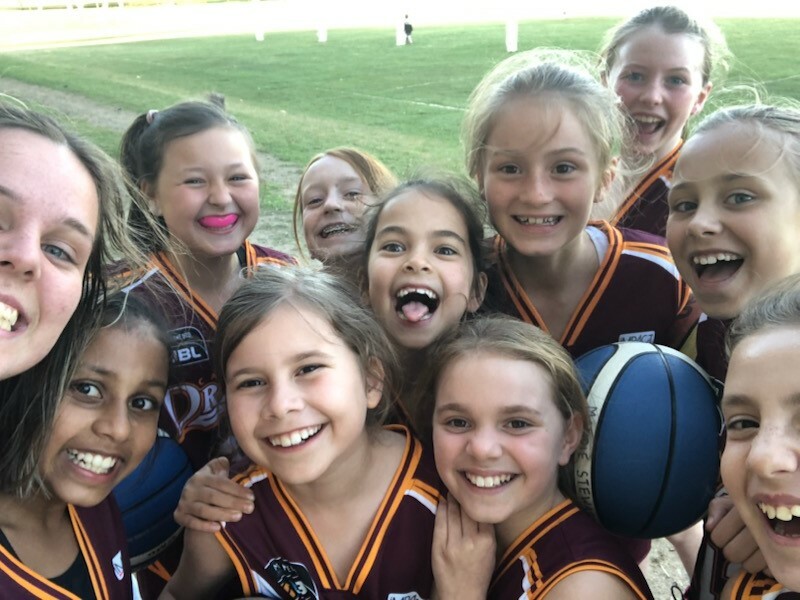 Their second game with Sandringham 3 became an even harder task with a team who clearly needed to play higher and took advantage of their “at least a head taller than all our girls” bar one. They had speed too so the girls struggled to score. Nevertheless, their bravery served them well and they all tried their hardest to follow their coaches and parents support. 62 to 9. Round 4 they faced Frankston 4, a similar team to us but again had height advantage. The girls fought well and continued to create good opportunities to win the ball by boxing out and taking a more courageous stance in the key to deflect and push Frankston out of ball contention. 39 to 35. 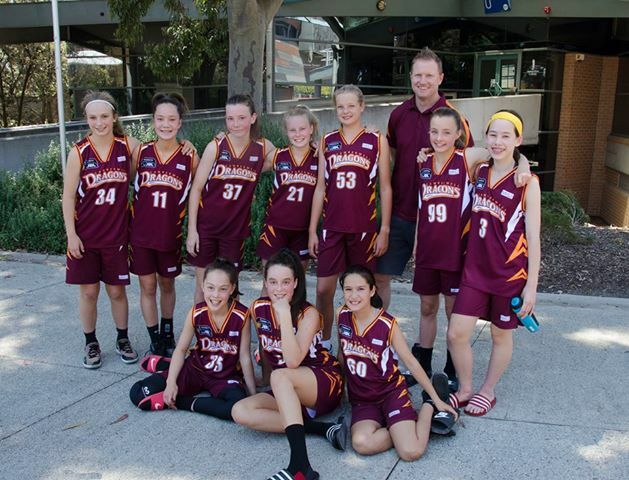 The final game with Morwell Magic was much of the same with the girls fighting hard and giving it a real good go. But under pressure to height and speed failed to secure their scoring shots. 49 to 17. The weekend was certainly full of good learnings and more importantly the girls bonded well and had fun. Despite a tough draw the team clearly has enormous potential and drive to capitalize on their speed and skill. What was very pleasing to see was a “mongrel” attitude in all the girls despite their slender builds. A big thank you to Maya, our Team Manager, for organizing a lovely relaxing Sunday lunch at Green Olive and getting us all game ready. And of course a big thank you to all the parents for their continued support and care. (Dana BP – coach). 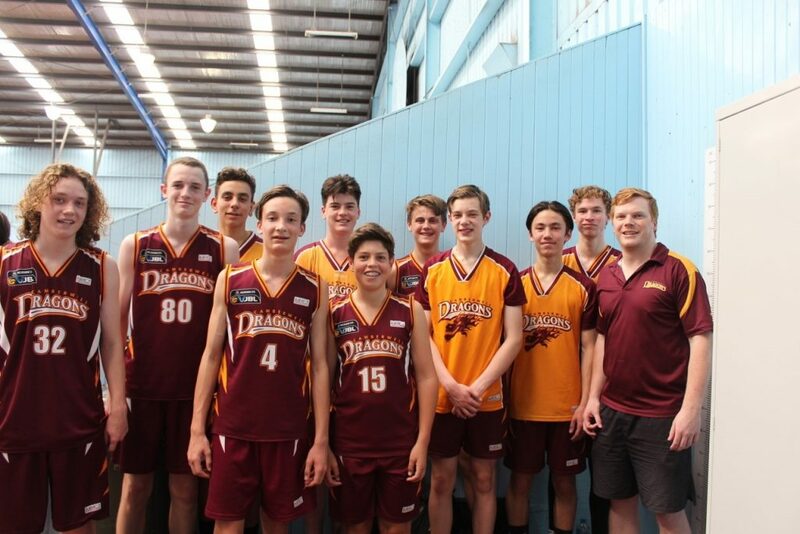 The u18/2s had a very successful tournament, coming away with the Grand Final win. Over the weekend we came up against teams that are in the pool higher for grading so knew we’d be challenged, our toughest opponent was Waverley 2 in our final pool game. The girls worked well together as a group and really implemented everything we have been working on since coming together as a team, as a coach I couldn’t have asked for more! In the grand final we played Ringwood 2, played beautifully as a team and won by about 25. Congratulations to all the girls, especially Carla Martin who walked away with MVP for the GF. Thanks to Katrina and the parents for organizing and getting all of them to each game and on time! (Cara Jeffers – coach).